Apelco VHF marine radio, VHF antenna, depth finder, Judson engine synchronizing gauge, Cruiser compass, Ray Jefferson loud hailer, Guest remote controlled search light, two anchors, four fenders, dockside water, dual electric horn, Lowrance GPS, Phillips AM/FM/CD stereo, Bennett trim tabs, teak swim platform with boarding ladder. Nice, single station, freshwater vessel. 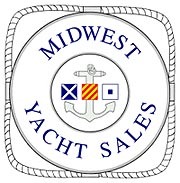 Другие яхты Midwest Yacht Sales, Inc.
Посмотреть все яхты Midwest Yacht Sales, Inc.